Countries such as the U.S. and Canada have a very strong credit reporting system. All the transactions made by a citizen are recorded on a credit report and credit points are awarded accordingly. This means that people who make their payments in time have a good credit score and vice versa. FICO stands for Fair Isaac Corporation, an organisation trusted by lenders for their accurate credit reports. 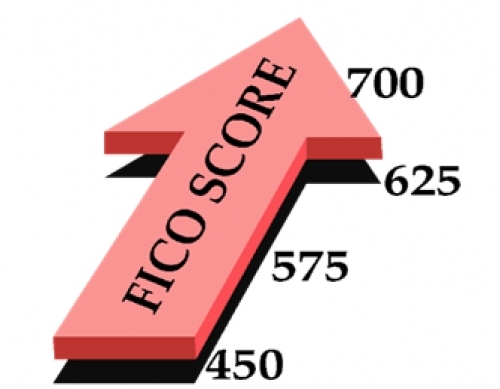 FICO scores start from 300 and go all the way up to 850. Lenders are all the more comfortable lending loans to individuals with high FICO scores. Request a copy of your credit report from either one or all of the three credit reporting agencies; Equifax, TransUnion and Experian. In the U.S., you are only allowed one free copy of the credit report every year. Scrutinise the report and ensure that it does not contain any errors such as incorrect late payment or other discrepancies. If it does, having the errors removed would directly result in an increase in your FICO score. Inform the credit scoring agency about the error you find in writing. Some people often find it difficult to pay their bills on time even though there are enough funds in their bank account. If you are one of them, it would be wise to authorise your bank to make automatic payments. Alternatively, you can place a payment reminder so that you will be reminded at least a few days before a payment is due. This way you will be able to prevent your FICO score from dropping. Credit cards are another factor which effect FICO scores. If you have a large amount of balance on your credit scores, pay it off as soon as possible because high balance on a credit card can directly result into a negative effect on your FICO score. If you cannot pay all the balances all at once, start by paying off small balances. After all the balance on your credit card has been paid, do not close them. Furthermore, avoid applying for credit cards that you would not need. This will have a positive effect on your FICO score. Another possible way to improve your FICO score is to have complete knowledge on how to manage your accounts while keeping your monthly income in mind. People, who tend to borrow more than they can pay off in time, often get stuck with huge amounts of interest. This creates a great mess on their credit reports and causes their FICO scores to nosedive in a matter of weeks.